“Colgate ad 1915” by Colgate & Co. – The American Magazine, January 1915, page 87. 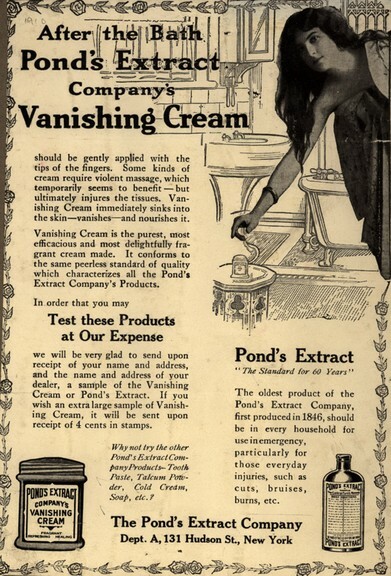 “Pond’s vanishing cream print advertisement” by Pond’s extract company – Rare Book, Manuscript, and Special Collections Library, Duke University. As I’m last-minute packing for a holiday to Croatia, it got me thinking about what “toilette” items would a girl like me be packing for her holidays 100 years ago. The Saturday Evening Post ads are a great source of inspiration, and it’s surprising how many household names have been firmly established for longer than you could imagine. Listerine: A very handy antiseptic, it was first sold as mouthwash in America in 1914. 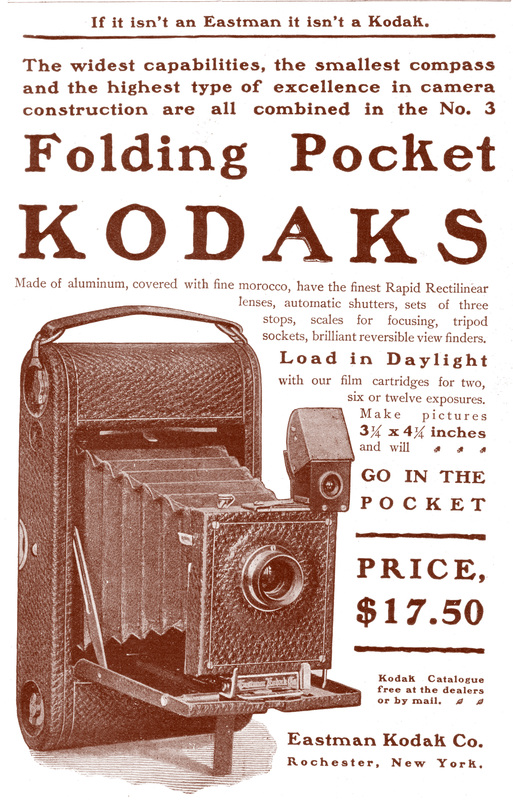 “Folding Pocket Kodak Camera ad 1900” by Eastman Kodak Co., Rochester, NY – “Outing” (magazine) Vol. XXXVI, No. 5, August, 1900. p. xxix. And of course, a Kodak camera. I’ll be bringing my iPhone and instead of writing on the film, I’ll be hashtaging and instagramming. You can follow me here if you’re interested. Now I better go make sure my pint-sized ziplock bag is ready for Easyjet inspections!